The USMNT (That’s United States Men’s National Team, not a Ninja Turtles reference) is taking on Ghana’s Black Stars tonight at 6 EST on ESPN. Even if you haven’t been following the months of lead-up to this summer’s World Cup, you probably know that the US team faces an uphill battle against more soccer-obsessed nations. In addition to Ghana, we’ll face off against Germany and Portugal in the first round. 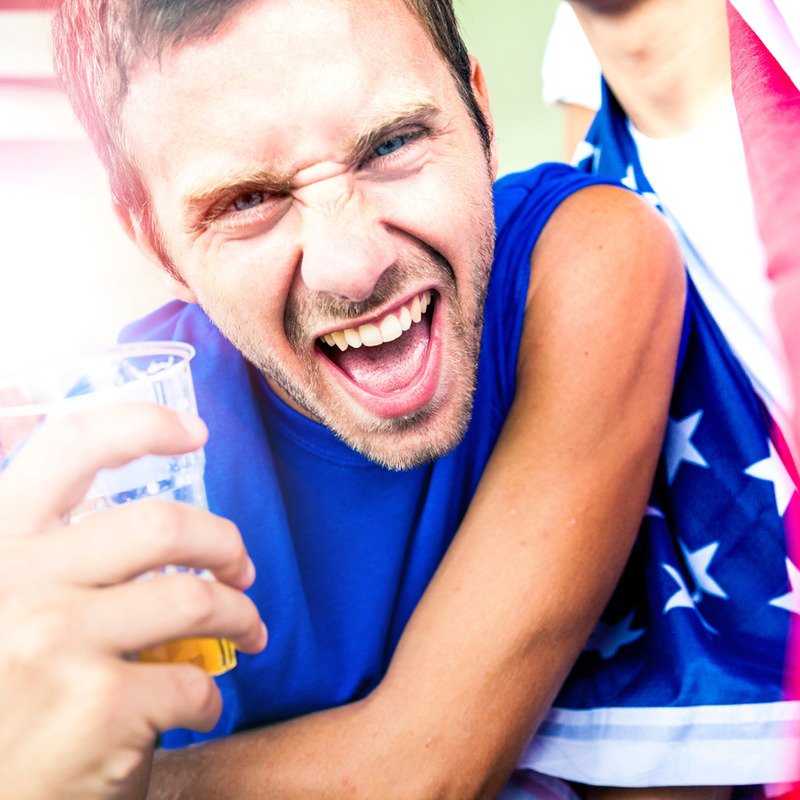 Fans of the red, white and blue can steel themselves with a few strong drinks during the game. And unlike Fred’s controversial flop in the box for Brazil, we like our drinking to follow some rules. To the World Cup uninitiated, the Group of Death is the nickname for the group of four strong teams competing against one another in the first round: Germany, Ghana, Portugal and us. The Americans find themselves as the least likely member of that group to make it to the second round. For every goal scored, take a shot. For all the jokes about the World Cup’s abundance of 0-0 ties, this year has been a historically high-scoring affair so far, with an average of three goals per game. When someone flops, pretend you can’t drink any more, then immediately get up and chug. According to their coach and the New York Times, when it comes to playacting to sway referees during games, the Americans don’t even try. But maybe tonight will be bring a Nicolas Cage moment. Take two sips when the announcers claim that the Americans won’t make it out of group play. Thought we’d say one drink didn’t you? Well, Americans are always doing the unexpected. Pour a shot of Jägermeister whenever they mention that US coach Jurgen Klinsmann is German. But drink it at your own risk. This may come up a lot. Drink something domestic if anyone on ESPN compares soccer to a more popular American sport during halftime. This is probably the biggest sporting event in the world. No need to compare it with the NBA finals. Pour your drink out if someone gets a red card. They’re a man down, you’re a drink down. If anyone you’re with yells “Gooooooooaaaaal” at any point, make them finish their drink and yours. It was funny eight years ago. If the Americans win, finish your drink and immediately have another. At this point, there’s no way you’re going to work tomorrow anyway. Time to celebrate.